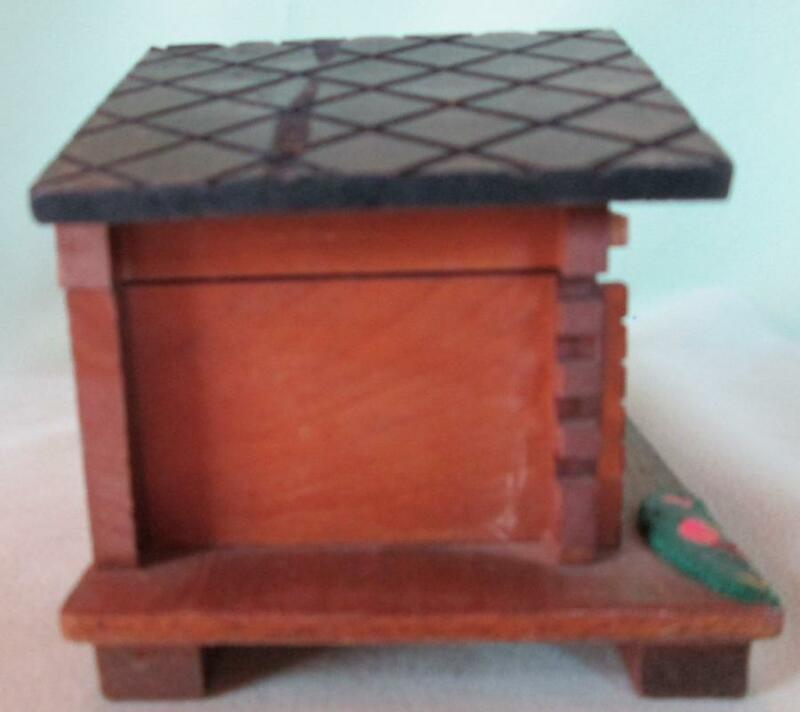 Offering this lovely vintage wood music box. The music movement is marked with an "S" for SANKYO. It plays the song: Dr. Zhivago Theme. The movement plays very clear and smooth. 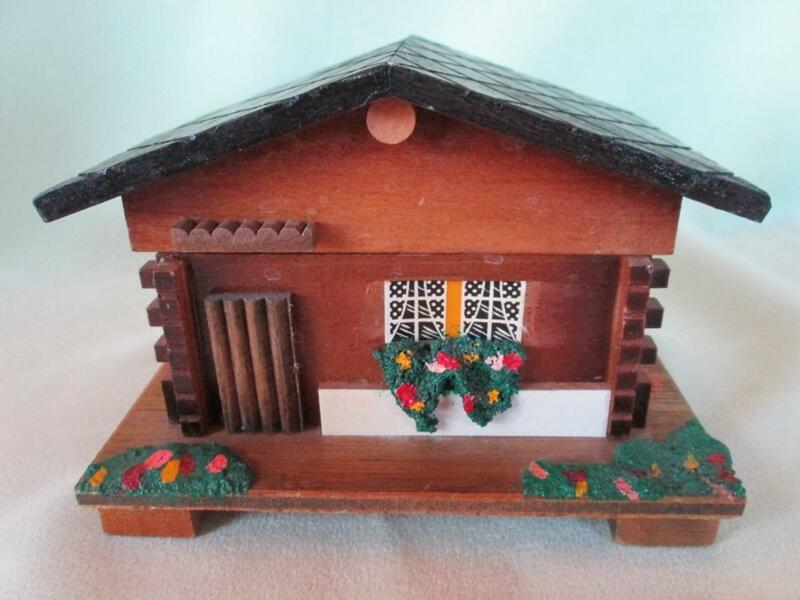 The setting is depicting a fairly simple cottage with some green plants and flowers on the porch area. 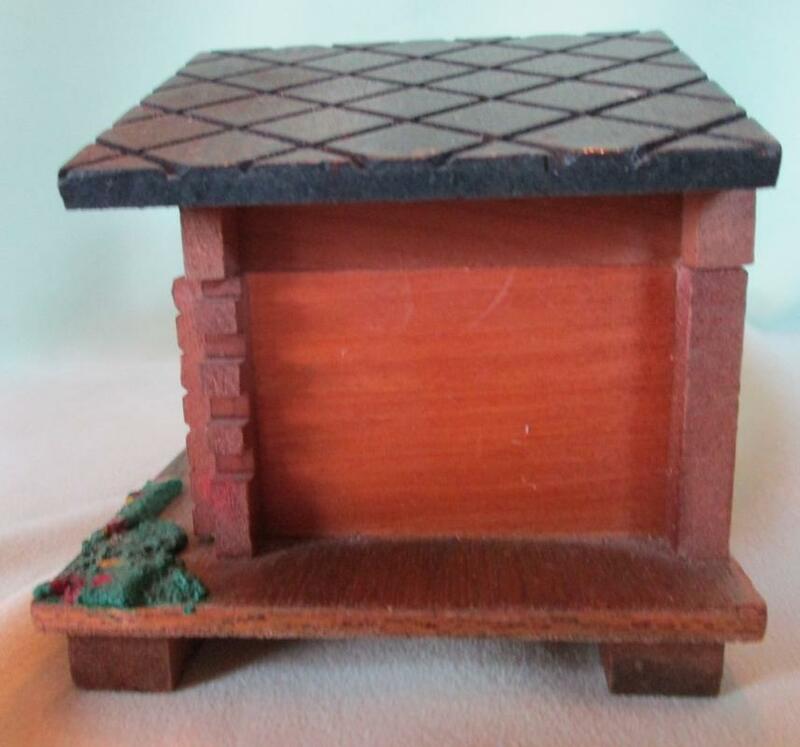 The cottage measures 5 1/4 inches wide x 3.75 inches deep x 3.75 inches tall. The condition is good, no cracks or chips, no missing pieces that I could find, the stones still attached to the roof. 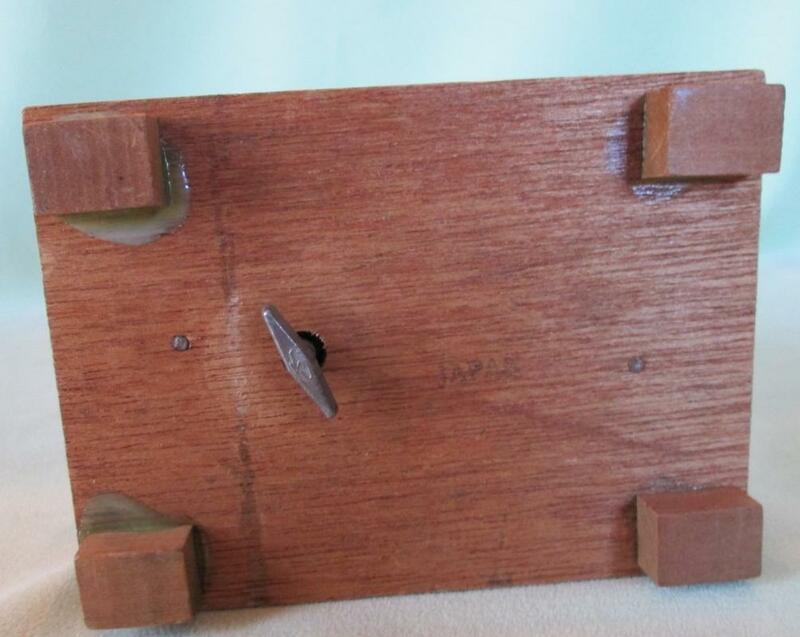 The roof section opens and has a spring loaded shut off pin inside the wall to turn the music off when closed. Musical movement plays smooth and clear. A beautiful addition to your music box collection or a wonderful gift!